Have you ever noticed how many things are cuter tiny? 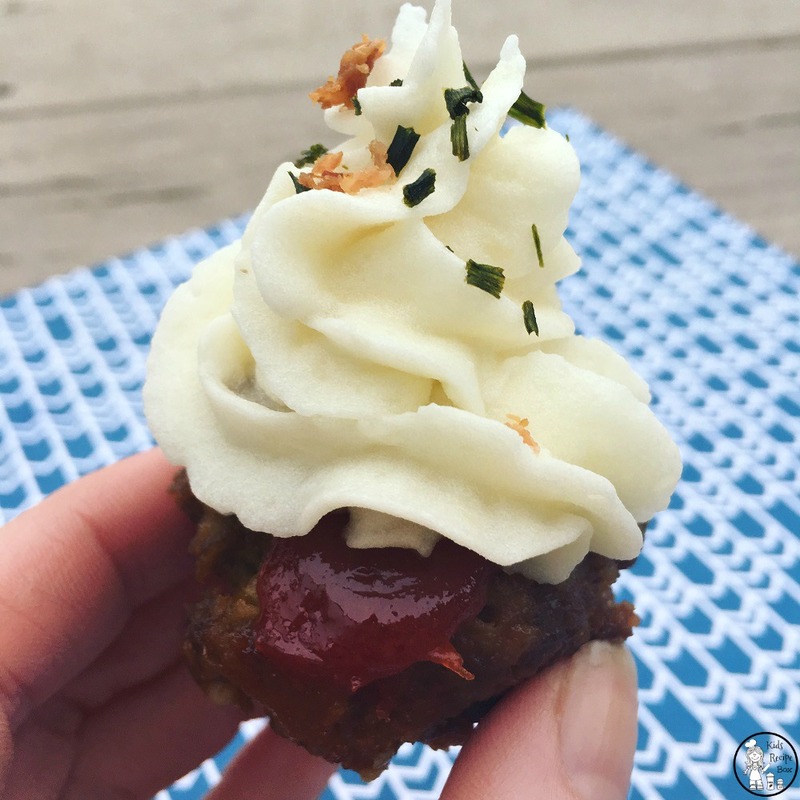 This Mini Meatloaf Muffin recipe is no exception. Kids will love popping these cute bite sized dinner entrees into their mouths, and hey, there is some vegetable goodness hidden in there. My haven’t always jumped for joy at the mention of meatloaf. I don’t know if it’s the name, or the things we put in it that they think they don’t like. Either way, it hasn’t always been an easy sell. 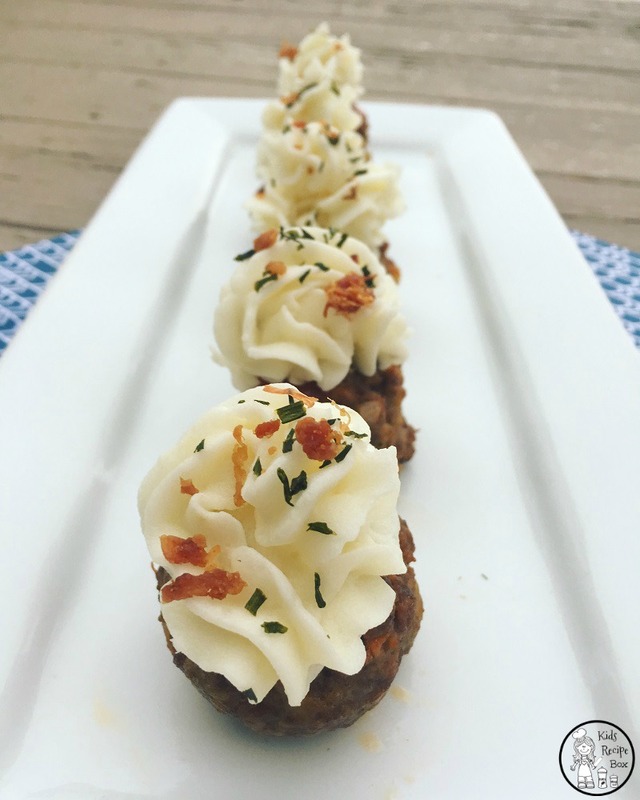 This week I decided to dress it up a bit, mini meatloaf muffins. 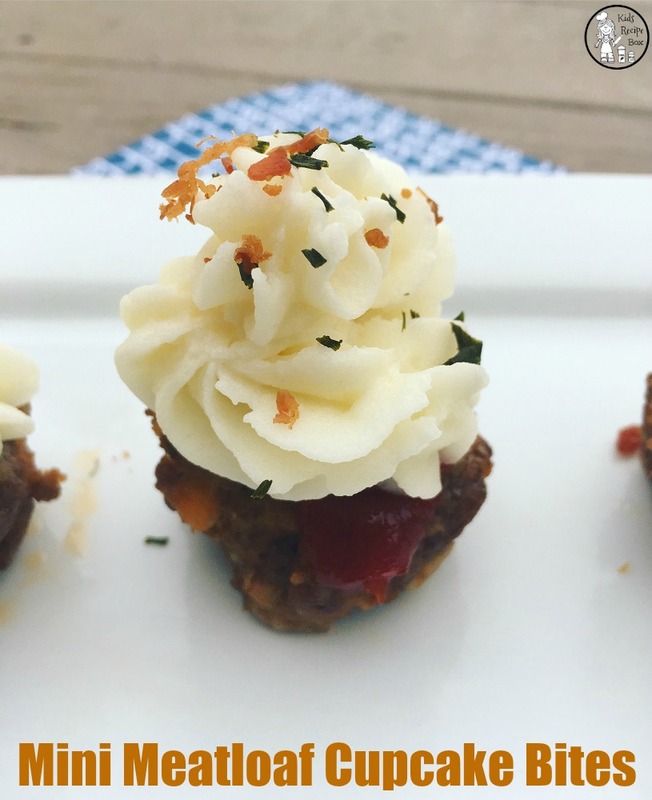 They’re tiny, cute and a simple way to make meatloaf fun! We even put creamy mashed potatoes on top to look like frosting! I liked the idea of regular meatloaf muffins. The only problem was they were so big! They were too much food for my littlest ones, and difficult to eat. What kid wants to eat a cupcake with a fork? That’s when I had the idea for Mini Meatloaf Muffins! They are small, easy to eat, and the fact that they resemble teeny tiny birthday cupcakes doesn’t hurt either. Here is the recipe for you to enjoy! Preheat Oven to 350 degrees. Heat olive oil in large skillet over medium-high heat. 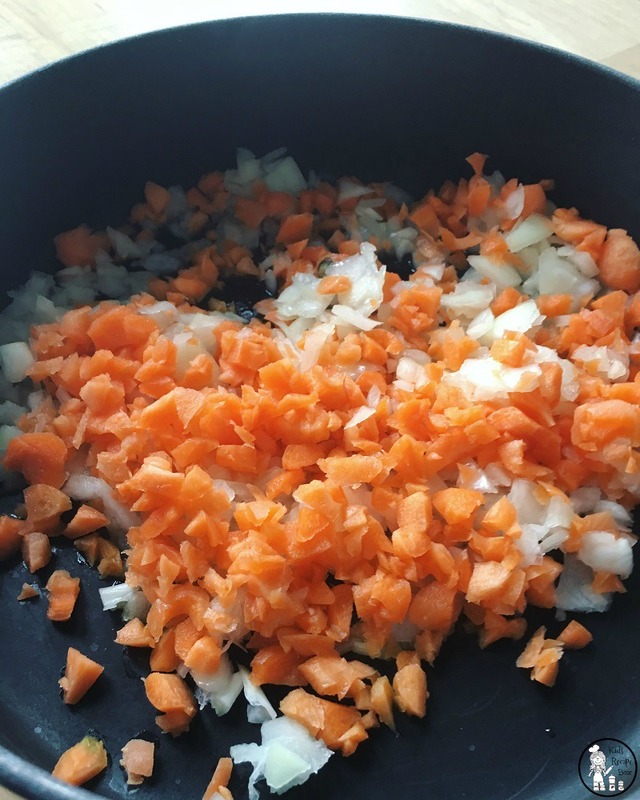 Add onion, carrot, oregano, and garlic. Sauté for 2 minutes. Combine sautéed mixture into large mixing bowl. Add all remaining ingredients mix together using a large spoon or your hands. 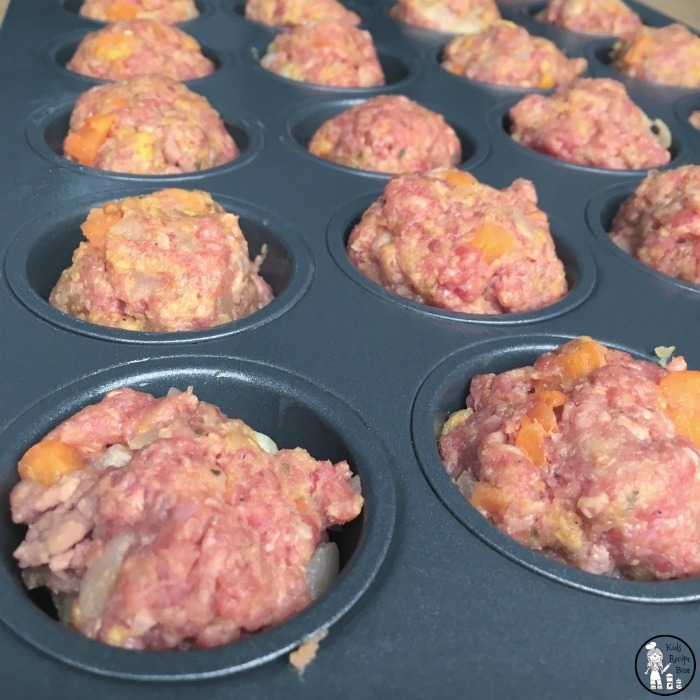 Spoon the meat mixture into a greased mini muffin tin. 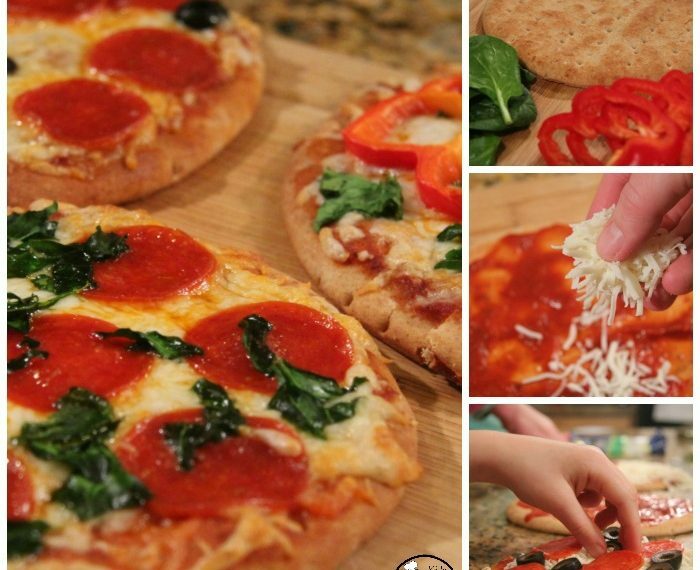 Top each with a squirt of ketchup. Bake for 20-25 minutes or until thermometer reads 160 degrees. Allow to cool for 5 minutes. While the Mini Meatloaf muffins are cooking, peel and cube potatoes. Boil in pot for 15 minutes or until soft. Drain water from potatoes. Add milk, sour cream, butter, salt and pepper. Use a potato masher or a hand mixer until potatoes are smooth. Using a frosting bag and frosting tip, pipe the potatoes onto the top of the meatloaf muffins. A Ziplock bag with a small hole cut at the corner can also work if a frosting bag is not available. Garnish with chives, bacon bits, or grated cheese.